While wearing hats are fun, washing them is an activity most people dread as their hats lose shape after washing. 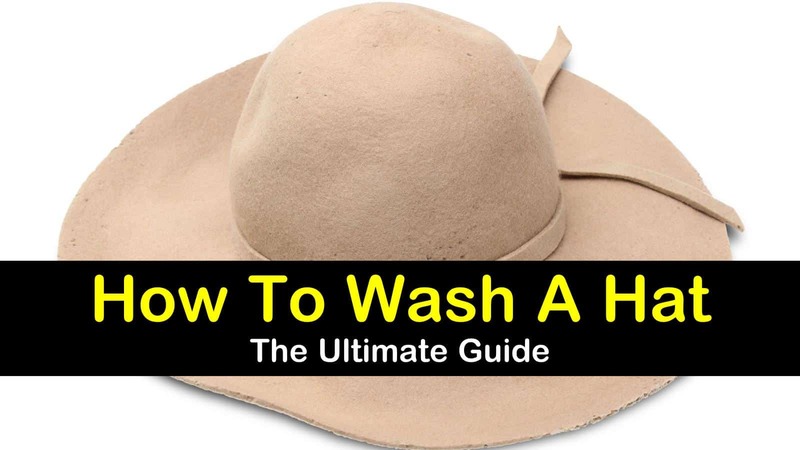 Here is how to wash a hat without ruining it. Hat washing doesn’t have to be a boring and scary activity. You can wash your hats and still retain its original shape. Select the dirty hats you desire to wash and check for stains. If the hat is very dirty, spray some vinegar on the tough stains and allow it to sit for a couple of minutes. You can make a vinegar spray by mixing equal parts of vinegar and water in a spray bottle. If there are no extreme stains on your hat, you should skip this step. Place your dirty hat in the first rack of the dishwasher and wash using a full cycle and some dishwasher detergent. You can even use your own DIY dish soap if you have some on hand. 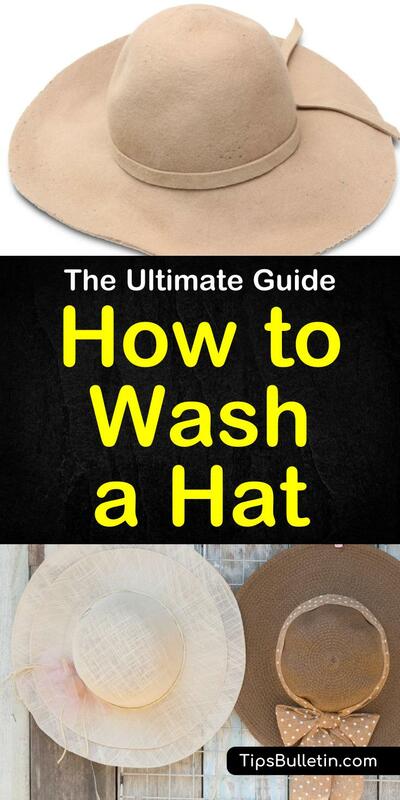 Wash more than one hat at a time depending on the size of each hat. Substitute dishwasher detergent for vinegar if you do not fancy using dishwasher detergent. At the end of the wash cycle, remove the hats from the dishwasher and leave them out to air dry. Your hats will retain their shape after being washed. Some hats get stained with sweat, and it is best to get rid of such stains by using baking soda and vinegar. Sprinkle baking soda to the affected parts. Spray on some vinegar solution. Using an old toothbrush, scrub until the stains are faded completely. Wash as normal. Washing baseball caps can be rather tricky since most cheaper caps are marked as for “hand-wash only”. In general baseball caps can be washed by hand or in a washing machine. Check the caps label first. To protect your caps and prevent them from getting ruined, you should hand wash them once in a while. Fill a plugged in a sink with cool water and add few scoops of detergent to make the water soapy. If there are stains on your cap, consider getting rid of the stain using a pretreatment solution or vinegar solution. Allow the “pretreatment” sit for a couple of minutes. Submerge the baseball cap in the soapy water solution in the sink. Using a piece of cloth, sponge, or old toothbrush, gently scrub your cap to get rid of any dirt. After a thorough scrub, drain the sink of the soapy water and rinse the cap under cool tap water till all the soap residue runs out. Air dry your cap or place it directly in front of a floor fan to dry. Your cap is ready to wear. Because of their material and texture, woolen hats require a special washing process to prevent them from getting damaged. Although they keep us warm on chilly days, this kind of hats is to be handled with care due to their delicate nature. Fill up a bowl with lukewarm water. Hot water causes wool to shrink so the best way to avoid this is to use lukewarm water. If you do not have a laundry bowl, make use of the sink. Add laundry detergent to the water and submerge the wool hat in it. There are special detergents designed for woolen materials so do best to use it. Avoid stretching your wool hat while washing but focus on a thread where stains are. For tough stains, leave the hat in the cleaning solution for a few minutes. This will soften the stain and make it easy to come off when washing. After washing, bring out the wool hat and rinse with cool water. Hang it out to dry in a sunny place. The best way to get rid of loose dirt on your hat is by regularly brushing it with a soft shoe brush. If you do not have a short brush, a horsehair brush or any brush with soft bristles will work just fine. Occasionally, dust can accumulate on your hat especially when you do not wear it for a long time. To get rid of dust on your hat, clean it with a damp cloth. This will get rid of the dust and also save you time in washing. Got a hat covered in hair or fuzz? Wrap sticky tape around your fingers and move it across the hat. This will get rid of any hair on your hat. Remember to wrap the tape with the sticky part out. Are you taking care of your hats? Do you toss them around the house at any chance you get or treat them like every other fashion items you own? Taking care of your hats will reduce the number of times you wash your hat and will make it last longer. Store them well—for hats you wear frequently, try as much as possible to hang them on a hat rack or a hat peg. For hats which you wear a few times a year, store them in a hat box and place the box in a cool and dry environment away from heat and moisture. Remove and wear your hat from the brim. Grabbing your hat from the crown will ruin it’s shaping permanently in the long run. Do not leave your hat out in the car. If the car gets hot, your hat will fade and might shrink. Drying hats manually are better than drying it with a dryer.